We were so giddy with excitement when Logan and Eric asked us to photograph their wedding in Montana’s Glacier National Park. We were married in Glacier two years ago and between the two of us have a lifetime of memories at the park — it has also been one of the biggest inspirations to me as a photographer. When I started Persimmon Images in 2009, one of my goals was to someday photograph a wedding in the park. I had no idea that day would come so soon! Logan grew up just outside Glacier in Coram, Montana, so it’s been her stomping ground since she was a little girl. She and Eric met in Montana and now are Seattle locals. Needless to say, we hit it off from our first meeting over lunch. Logan and Eric’s wedding day was peaceful, relaxing, and full of heartwarming moments. I can’t count the number of times I turned around to see Logan on the verge of happy tears. She was such a gorgeous bride! 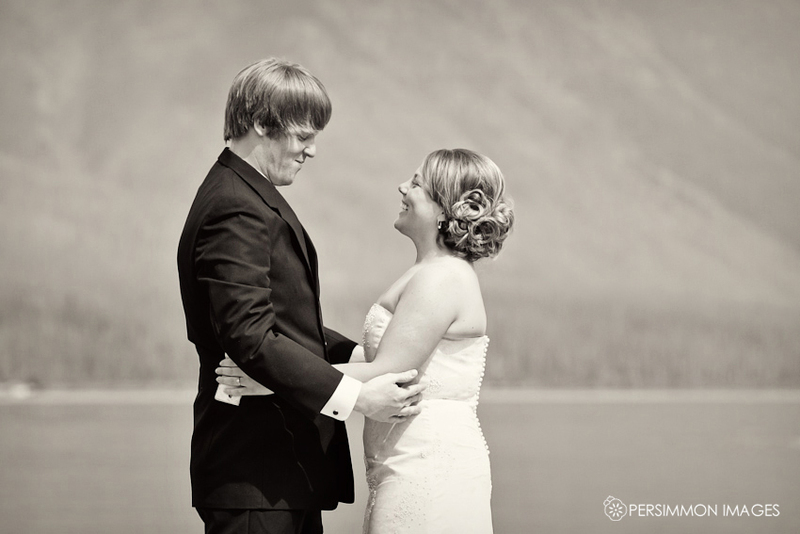 Logan got ready at her family home in Coram and Eric in their small honeymooner’s cabin at the Glacier Outdoor Center. 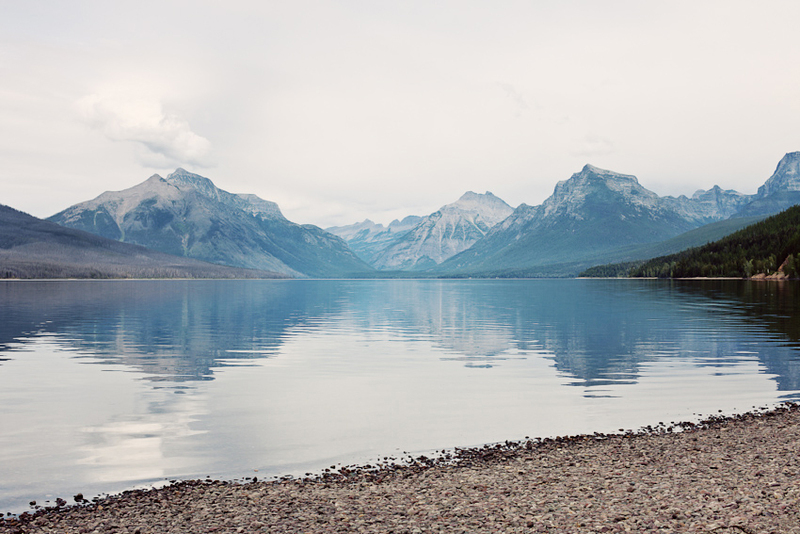 Before the ceremony, had their “first look” on the shores of Lake McDonald facing the peaks of the continental divide and Logan Pass. I’ve rarely seen the lake as smooth, calm, and beautiful as it was that day. After spending some quiet moments alone on the shore, they were joined by friends and family who were trickling in for the ceremony at the nearby Apgar Amphitheater. The lakeside amphitheater was a beautiful ceremony site in what I consider to be one of nature’s most striking “cathedrals.” They were serenaded by their friends singing and playing guitar and exchanged rings and vows under Montana’s wide open big sky. Enjoy the photos — Next up, their reception, details, and dancing!